Courington, Kiefer & Commers, L.L.C. 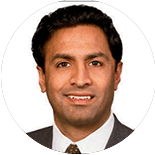 “COMING FROM THE PUBLIC SECTOR, I HAD TO LEARN THE WORLD OF RAINMAKING,” says Michael Garcia, a government and internal investigations partner in Kirkland’s New York office. “Because I didn’t rise through the ranks of a fi rm, I missed out on a lot of exposure to the law fi rm business model. 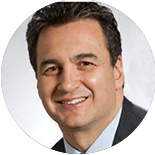 Fortunately, I was able to watch the partners here and pick up pretty quickly on how things worked.” Before joining Kirkland Ellis in 2008, Garcia was the Senate-confi rmed United States Attorney for the Southern District of New York. 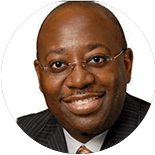 He successfully directed a broad range of prosecutions, including investigations into whitecollar fraud, international terrorism, and national security matters. 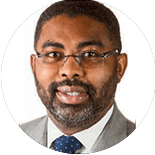 Prior to that, he spent two years as assistant secretary for immigration and customs enforcement at the Department of Homeland Security. “AS A TRIAL LAWYER, ONE OF THE BEST PLACES TO GENERATE NEW BUSINESS IS IN THE COURTROOM,” says Elizabeth Holland, a pharmaceutical patent litigator at Kenyon & Kenyon’s New York office. “In the courtroom, both current and potential clients get to see the quality of your work. Of course, a big part of business development is maintaining relationships with existing clients. 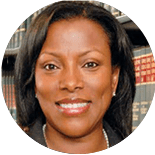 Clients need to want to work with you on a personal as well as a professional level.” Prior to joining Kenyon & Kenyon in 1997, Holland was at a large New York general practice firm where she did some patent work. 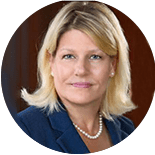 At Kenyon she has litigated patents in numerous technical areas and industries, including pharmaceutical, chemical, medical device, and consumer products, and has extensive experience with Hatch-Waxman litigation (lawsuits between generic and branded drug companies). RAINMAKING ENTERTAINMENT AND MEDIA LAWYER JAMES (JIM) HOLMES REMEMBERS early in his career offering his services to a movie studio with a strong commitment to diversity. He recalls, “I told them ‘If you want to hire me because I’m gay that’s fine, but I’d rather you hire me because I’m good. And by the way, I’m both.’” He was hired. “I’ve always been out. I was out in law school, and out in my practice,” he adds. 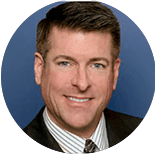 An entertainment and media partner at Sedgwick in Los Angeles, Holmes is active in national and local bar associations, both general and those specific to LGBT. Trying cases has made Johnson a rainmaker. He started off doing medical malpractice defense, which allowed him to try a lot of cases early in his career. “And this was before tort reform in Mississippi,” he explains. “A lot of companies were being sued here. The state became sort of a dumping ground for litigation. Eventually I expanded my practice from defending doctors to also defending pharmaceutical companies and other product manufacturers. “A lot is expected with each piece of litigation, but the more you have the more you want,” adds Johnson. 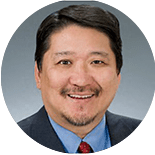 WHILE A STUDENT AT STANFORD UNIVERSITY, rainmaking patent and IP litigator Peter Kang double majored in Industrial Engineering and Classics (Latin). Following graduation, he spent a year prior to law school programming by day and tending bar at night. “I’ve always liked to use both sides of my brain,” he says. “And the intersection of technology and law requires two different sets of thinking, culture, and language. To sit comfortably at that crossroad and communicate with the engineers, Silicon Valley entrepreneurs, and technologists on one side, and the lawyers, judges, and juries on the other, is challenging and stimulating.” Senior IP partner in Sidley’s Palo Alto office, Kang is lead trial counsel and team leader for patent lawsuits in the United States International Trade Commission and federal courts nationwide, including appeals to the Federal Circuit. “THE BUILDING BLOCKS OF BUSINESS DEVELOPMENT HAVE NOT CHANGED MUCH,” says Ava Lias-Booker, who was featured in Diversity & the Bar’s rainmaker article in 2010. 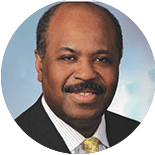 “It’s still important for me to meet my clients’ strategic objectives in the litigation we’re working on, to develop relationships with clients so I understand their industries, and to nurture relationships with key decision makers within the client’s corporate or institutional structures.” The managing partner of McGuireWoods’ Baltimore office, Lias-Booker says while there is no substitute for hard work, engagement, or focus, she does credit much of her rainmaking success to being active in organizations whose missions are wholly or in part dedicated to supporting lawyers of color and women attorneys, such as the Minority Corporate Counsel Association, the ClientFocus’ Women Rainmakers Roundtables, and Corporate Counsel Women of Color. 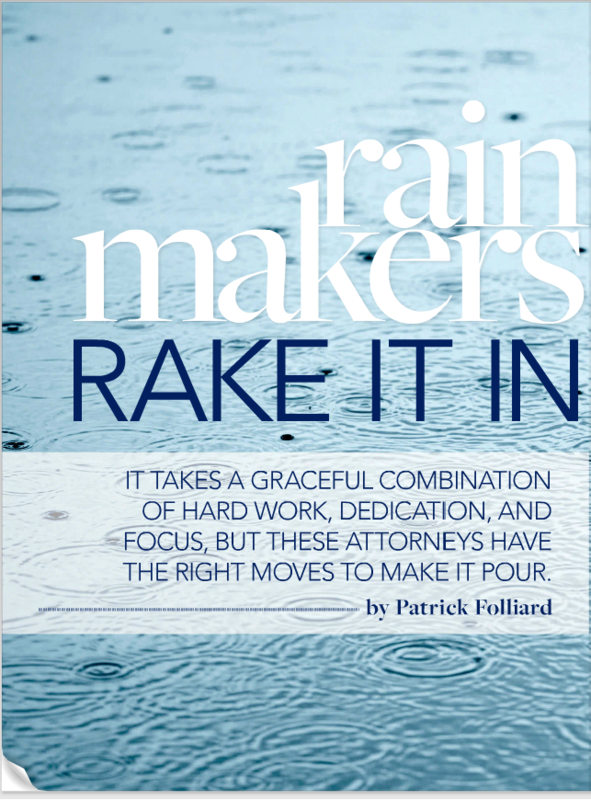 BEING A RAINMAKING ATTORNEY IN THE ENTERTAINMENT BUSINESS is not as glamorous or easy as it may seem. “Entertainment law is not all premieres and fancy lunches. 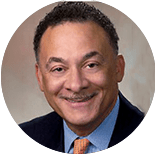 Sometimes we don’t get the invite,” says Darrell D. Miller, chair of the entertainment law department and managing partner of Fox Rothschild’s Los Angeles offices. Miller’s practice took off in the 1990s when television networks, led by the emergence of the Fox Broadcast Network, began to widely broadcast shows about African American culture, and hip hop artists were snatching the popular culture limelight from rock stars. Miller initially rode that wave by promoting the crossover careers of high-profile music artists DMX, Outkast, Master P, Missy Elliot, and Ludacris, to name a few. Today, Miller’s practice focuses on film, TV, music, new media, and licensing. Its core is transactional deal making around development, production, distribution, and marketing. YVETTE OSTOLAZA BEGAN HER CAREER AS A SUMMER ASSOCIATE IN Weil’s Dallas office and never left. Today she is co-head of the firm’s complex commercial litigation practice and a member of its national management committee. 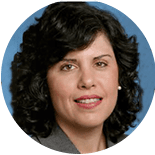 Ostolaza represents boards, companies, and special committees on internal investigations, and because she is fluent in Spanish, advises many Latin American companies on litigation and arbitration matters. LIKE THE MOVEMENT OF GOODS, TECHNOLOGY, AND CAPITAL, THE MOVEMENT OF PEOPLE can trigger legal issues. 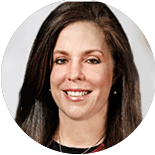 As the rainmaking head of Baker & McKenzie’s global mobility practice, Elizabeth (Liz) Stern helps companies establish global compliance and management programs to move their executive and professional work corps to various locations around the world. When Stern started her practice, she mainly focused on employees entering Western markets. “Today, with corporations expanding in emerging economies, there’s movement in all directions,” she says. Over time it became clear to her that an exclusively inbound practice was not sufficient. As globalization accelerated, her practice needed to adapt. Early in her career, Stern utilized her legal and language skills handling immigration issues for burgeoning IT companies in the Washington, D.C. area. As the daughter of an Ecuadorian diplomat, Stern’s first language is Spanish even though she was born in the United States. She also speaks French. “I’d wanted to be a trial lawyer,” she recalls. 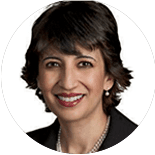 “But I quickly learned that moving people was a huge part of business planning, and I found that I liked business planning much more than fighting disputes in court.” In 2005, she joined Baker & McKenzie. She stresses the importance of having an engaged, service-oriented team. “We manage risk,” she says. “YOU’RE NOT HATCHED A RAINMAKER. 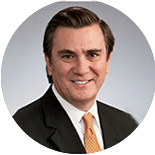 YOU BECOME ONE as the result of good service and hard work,” says Jose Valera, a partner in Mayer Brown’s Houston office. “And you don’t remain a longtime rainmaker unless you consistently provide excellent service and are a good lawyer at the same time.” Valera, whose practice is focused on domestic and international energy transactions and project development throughout the United States, Latin America, Africa, and Asia, began his legal career in Peru where he attended law school and went to work for a fi rm as local counsel to a Houston-based oil company. IN RAINMAKER BRIAN WINTERFELDT’S LIFE, excellent client service is a top priority. “You’ll never find anyone who will care about your clients the way you do,” he says. “In a global landscape, it’s important to be available to your clients as much as possible, and to take the time to invest in building longterm relationships.” As a trademark partner and head of Katten’s Internet practice, Winterfeldt helps clients create their global trademark and branding strategies, enforce their intellectual property rights, and protect against infringement of their trademarks and other IP assets in the United States and internationally. 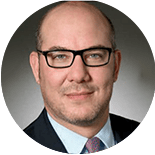 Being overly aggressive can be counterproductive in the business development space, says Winterfeldt, but he stresses “it’s very important to get out there.” Winterfeldt speaks at conferences (trademark, IP, and diversity) and before industry groups. He also hosts webinars where he and one or more featured inhouse counsel speak to members of the trademark community about cutting-edge issues, such as social media and the expansion of the Internet domain name space.